As a Shopaholic and a gold member of practically every beauty store available it is a given that I end up with quite a stock of mini products, samples and testers. As time passes the lovely ladies and men behind the counters drop more and more products into my bag and I keep on putting them in my bathroom drawr forgetting what I actually have in there. A few months ago I decided it was time to have a look and sort thought what I wanted to try and what I wanted to toss away or give to someone else. This led to me having a serious stash of goodies to test, especially in the skin-care category, and after working my way through serum after serum and all the eye creams you could imagine - a few have actually made the cut to my much beloved skincare routine... So here they are, the current little minis that I love and adore. REN's Frankincence Revitalising Night Cream - a wonderful, thick but not sticky night cream that sinks in quickly and leaves your skin feeling hydrated and healthy. Nip + Fab Dry Leg Fix - first thought when I got this was 'is this really necessary?'. Turns out that no, in all honesty it isn't but it still works wonders on dry legs which happend to have been a bit if an issue with the change of weather lately. Clarins Instant Eye Make-up Remover - after hearing fellow waterproof mascara wearer Anna - at viviannadoesmakeup rave about this I was excited when the shop lady popped it into my shopping bag a few weeks ago. And although it doesn't remove it in an instant it does do it rather quickly compared to other make-up removers. Clarins Eye Contour Gel - another Clarins baby. Finally an eye cream (well a gel..) that doesn't give me red spots under the eyes! Lovely, light, cooling and it really brightens and smooths the under eye area. Big thumbs up. Smashbox High Definition Concealer - small enough to put in even a little purse, covering enough to hide them bad guys and still natural and long lasting enough for everyday wear. Purrrfection. I will admit that some of these have now been purchased in full sizes, so be warned all you lovelies - the minis may be small but they sure as hell aren't innocent. Do you have any samples or testers that you love or that have made you go for the full size? 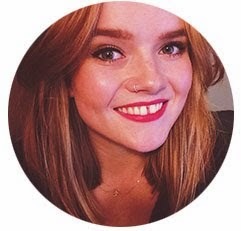 Let me know in the comments, and dont forget to follow my blog on Bloglovin' ! 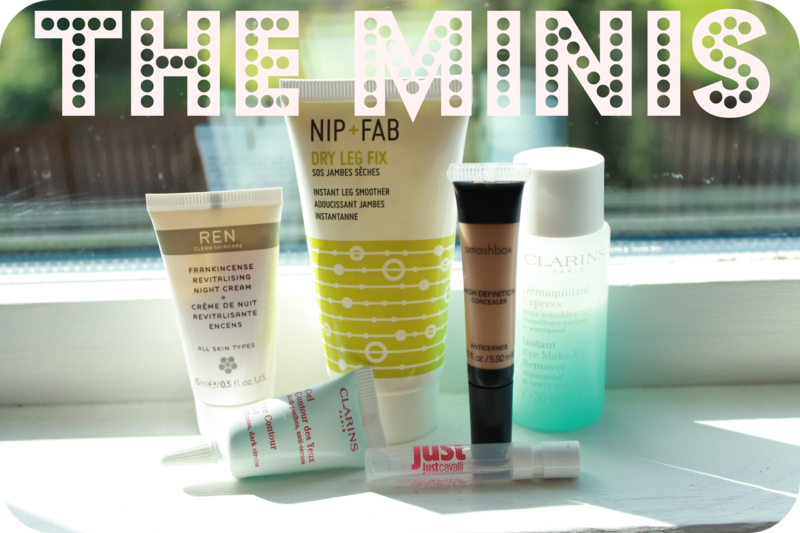 I love minis so so much, my favourite is the Emma Hardie cleanser mini because it lasts ages! !